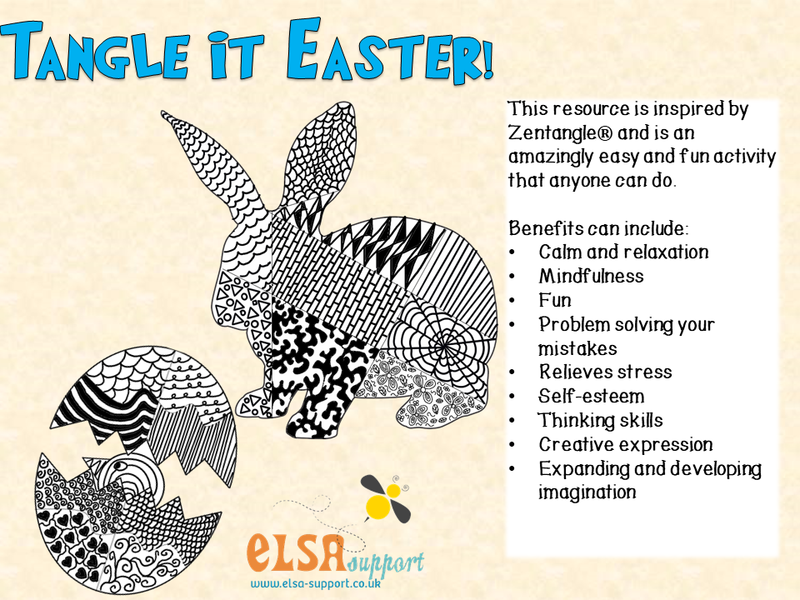 This is an #elsafreefriday for children to have a go at tangling (doodling). It is a fab activity to do and brings a real sense of mindfulness. Thinking skills – thinking what pattern to do next, what will look good! Hand eye co-ordination – speaks for itself, try it! Self-esteem – creating something beautiful that looks amazing! Problem solving – how can you incorporate your mistakes into your design? Expanding your imagination – let your imagination go and just create! No planned outcome – you don’t know yet how your design will end up.